Super Smooth Accuracy. Lightweight, Compact. 15x Zoom Ratio. Low Light Telephoto Capabilities. 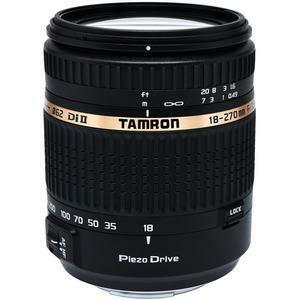 The acclaimed Tamron 18-270mm ultra zoom for APS-C format DSLRs has reached an astonishing new level of compactness, performance, and speed with the addition of PZD (Piezo Drive), an innovative ultrasonic autofocus motor based on an advanced piezoelectric design. 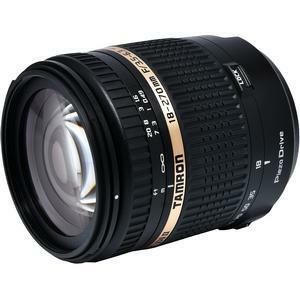 The result is a lens that's considerably lighter, and noticeably shorter and slimmer (filter diameter: 62mm) than any previous lens in its class, and provides faster, quieter auto-focusing. Signature features that have made this amazingly versatile lens the world standard in its class have been retained. They include a 28-419mm equivalent (15X) zoom range, and macro focusing to 0.49m (19.3 inches) throughout, and, of course, superlative imaging performance. 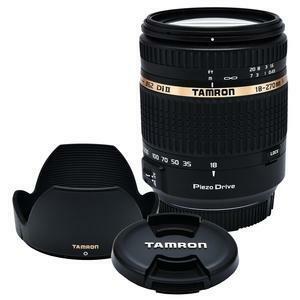 In addition, this lens is packed with the best Tamron technologies, which have enabled a significant reduction in body size. The lens construction comprises 13 groups and 16 elements, which is two elements fewer than the previous model, while use of the hybrid aspherical lens with low dispersion glass has helped achieve a compact design and improved optical performance. 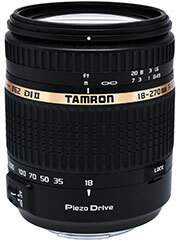 The PZD (Piezo Drive) piezoelectric drive marks another Tamron first in its autofocus SLR lenses, an internal standing wave ultrasonic motor system. 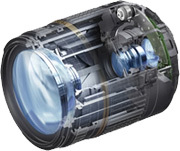 Innovations to reduce parts and simplify operation also contributed to the lens's reduced size and weight. Lighter and smaller than other autofocus drives, the piezoelectric drive uses a standing wave, instead of the traditional traveling wave, to turn and extend the piezoelectric element. Thus the entire element moves in a standing wave pattern, moving the metal tip (the contact surface) in an elliptic motion. The friction of this movement moves the rotor for a smooth, precise autofocus. Designed exclusively for APS-C sized digital SLR cameras, this all-in-one zoom covers every angle. Its minimum focal distance of 0.49m (19.3 in.) through the entire zoom range and macro capability to 1:3.8 allows you to enjoy serious, high-quality macro photography with unaccustomed convenience. 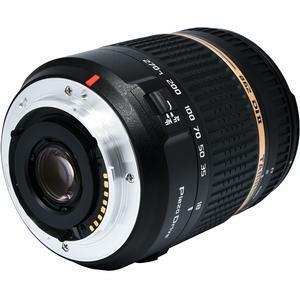 With an optical system designed exclusively for optimum performance on digital SLR cameras with APS-C size image sensors, the angular coverage range of this lens is impressive.